Grats to you. Enjoy the time with the family. Congrats on the Diamond, you will enjoy Germany and especially being with your family on a consistent bases. Happy for you. Congrats, enjoy the time with your family exploring Europe. Congratulations! Getting to spend more time with the family is a big plus. Congrats! Where in Germany? I was at K-town (Kaiserslautern) a couple times long ago. Congratulations. Germany can be a fantastic opportunity to learn and travel. My first night there I ordered a meal in Berlitz German at a restaurant in a soccer stadium opposite the American housing in Weisbaden. The next day, I commented to those that lived there about how great the food was. They gave me a blank look and mentioned that they'd never eaten there, having lived in Germany two years. Some people just hole up and watch videos and eat at McDonalds. What a waste. Look into MWR trips to Paris and Rottenburg and other cities. And don't forget that train travel there is low stress and ten times better than driving. Congratulations and once more thank you for your service. I am sure that they hunt and fish in Germany, as for collecting, find a relative/friend that will not mind you set a safe in their basement or whatever, every once in a while, when time and $$$ permits come over and add to the collection, that way when you are back you will have all those toys to play with! Find me and Orchid some 10.75x68mm brass and send it our way lol the only quality producer is in Germany and they stopped shipping to the states! I lived in Baumhoulder when I was there. 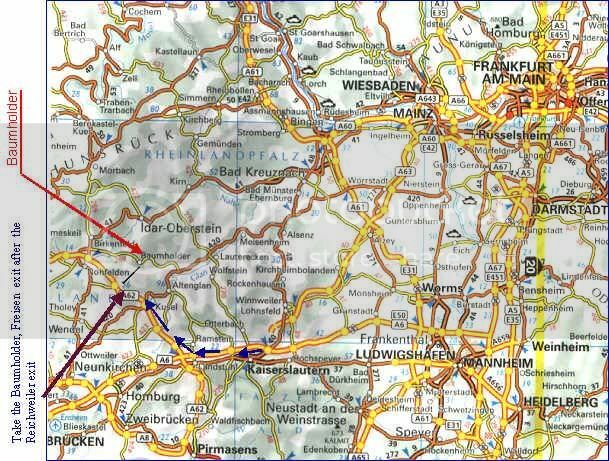 It is about 30 mins from Ramstein. Check out idaroberstein, the church in the rock, cool place! Congratulations. My dad was an infantry 1st Sgt. so I have some idea of the challenges you face. 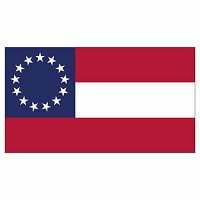 Best of luck, and thank you for your service. K-town did have a pretty Good Rod n Gun Club on post and an adjacent range you could use too. The restrictions are just awful on firearms for Americans over there now (thanks to Bubba Clinton's State Dept not caring about that part of the SOFA). They were getting bad when I left Baumholder/Idar Oberstein (an hour up the road from where you will be) in 95. You will be close to all the Roman stuff in Trier. Luxembourg (Where Patton is buried) and Belgium (Bastogne) is an easy day trip on the autobahn. Lots of neat museums and stuff to see there. In fact, just up the road from Kaiserslautern is a castle/ruins where a princess lived. 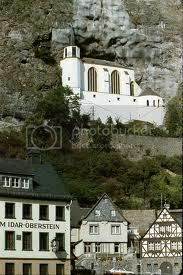 Two brothers fought over her and one killed the other and built the "Church in a Rock" on the mountainside in Idar Oberstein as penance. You will be in a great location to travel and see stuff. All I can say about Germany after 12 years of my 20 in the Army stationed there is "Make the most of it". I had plenty of good times and bad, as well. However, we got to do and see a lot of places and stuff that never would have never been in our reach. Overall, positive experiences far outweighed the negative ones. Again, my congratulations to you, centermass!